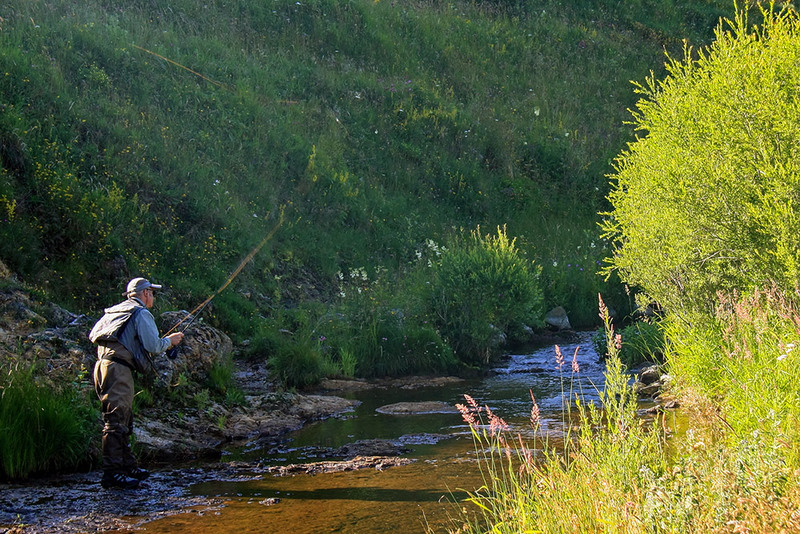 Angling for wild trout in the Loire river springs. FISH AS MUCH AS YOU WANT TO HOLIDAYS. 3 days / 2 nights, from April to September. Rates from 180 € per person. 5km from the Mont Gerbier des Joncs, Sainte Eulalie is the first village on the river Loire, at an altitude of 1230m. A footpath from the hotel takes you to the one of most beautiful stretches of the river. 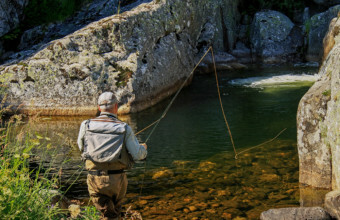 Within a diameter of 10kms from the hotel, you can fish the Loire and 4 of affluents – the Padelle, the Tauron, the Gage and the Veradeyre, each of which has its own very different personality. 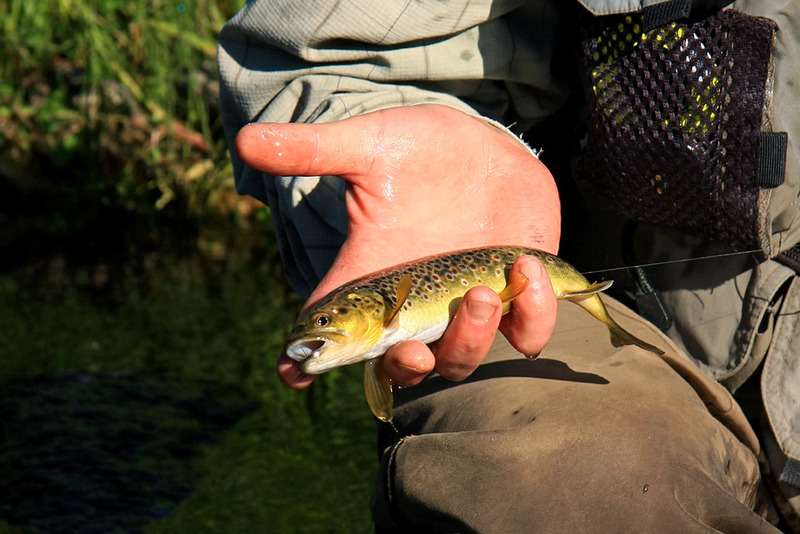 A dedicated angler, the hotelkeeper will share all his local knowledge to ensure you enjoy your trip and make the most of this unspoilt environment. 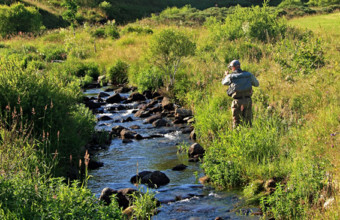 Day 1: Visit to the streams, identification of access to the best stretches, then free fishing. 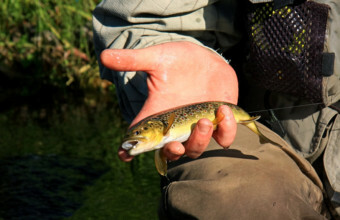 Days 2 and 3: Briefing about stretches and the best flies to use, then free fishing. Route books and detailed access maps for each stretch. Equipment storage and drying room. Small equipment etc. on sale. 2 nights half-board in individual bedroom. Drinks, fishing permit and visitor’s tax not included. FISHING HOLIDAYS WITH PROFESSIONAL GUIDE BRUNO BEUSSE. Rate from 475 € per angler (minimum 4). 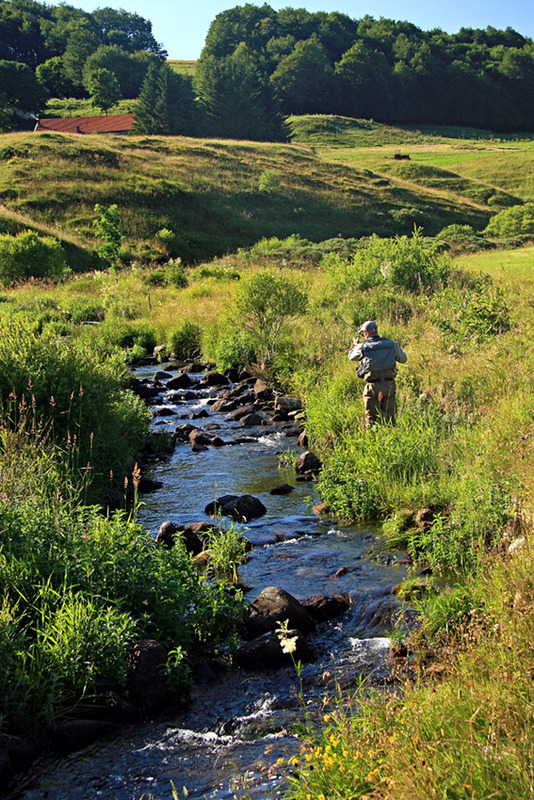 Fish with a gillie to discover our streams and to improve your technique. “Ardèche Tour” fly and float fishing holidays with Bruno Beusse. The best way to get off to a good start, improve and discover the Ardèche streams without wasting time. The Loire river springs. Hike or bike. Rates from 186 € per person. 5km from the Mont Gerbier des Joncs, Sainte Eulalie is the first village on the river Loire, at an altitude of 1230m. 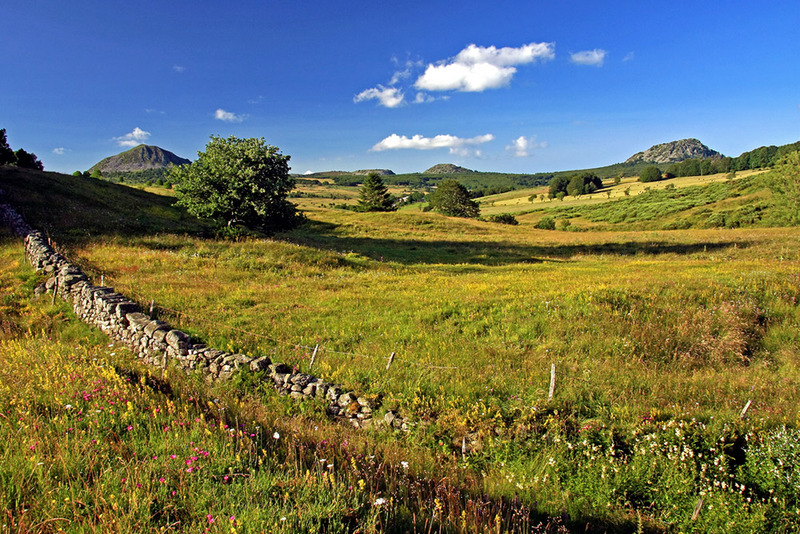 A paradise for hikers and bikers, on the circuits of the GR7 and the famous Ardèchoise bike rally in the middle of the Monts d’Ardèche Regional Nature Park. 3 days of excursions starting and finishing at the hotel each day. In the evenings, after a getting back into shape in the spa and sauna, we promise you gastronomic delights. 2 nights in full board, in a double room. Meal basket lunch, plus a meal basket on the day of your arrival. Drinks and visitor’s tax not included.